Buckle up. 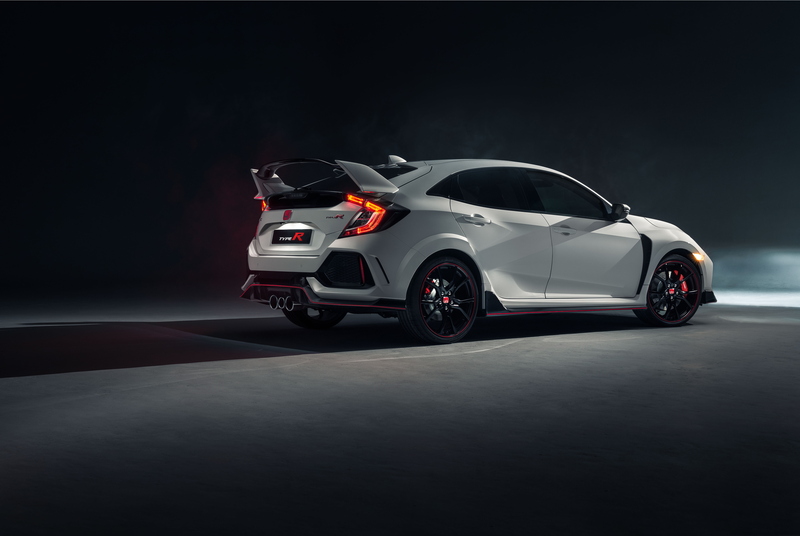 The new 2018 Honda Civic Type R has been officially unveiled at the Geneva Motor Show and it looks even more imposing than the be-winged pseudo touring car it replaces. 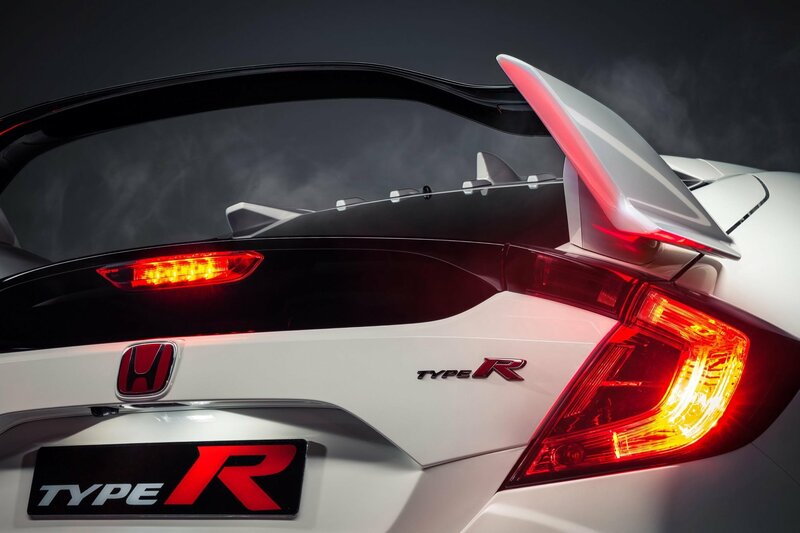 Like its predecessor, the new Civic Type R has been bestowed with an almighty aero kit. The angular styling has been beefed up with all manner of spoilers, vortex generators and splitters, while a smoother underbody helps the latest CTR to achieve a best-in-class balance between lift and drag. 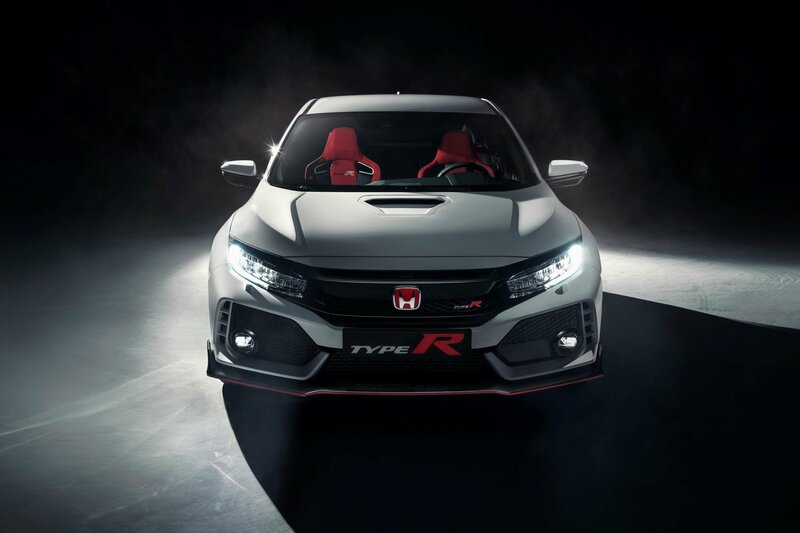 Based on the new world Civic platform, the latest generation Type R “has been engineered from the ground up to deliver the most rewarding drive both on road and track”. Gulp. The old one was hardly far from that ideal in our experience. 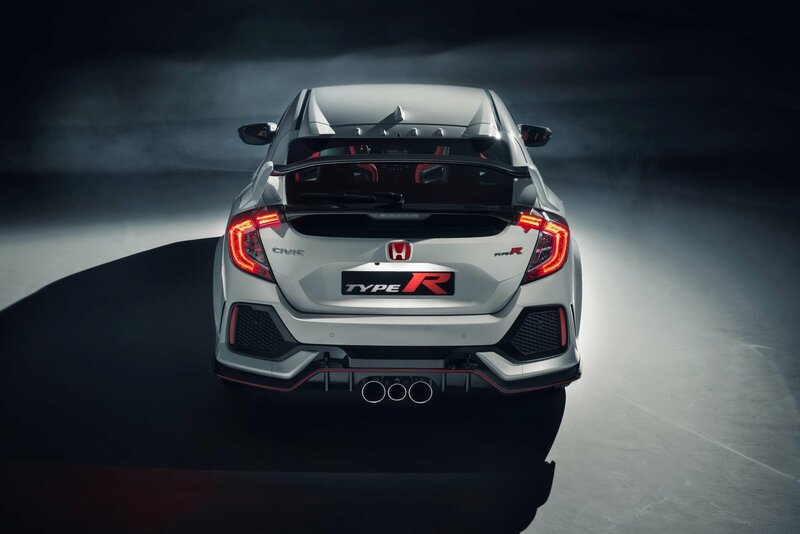 To achieve this, Honda has taken the saloon-esque body shell from the new Civic hatchback (both lighter and more rigid than its predecessor) and stiffened it up with extra adhesive – yes, glue – in strategic areas, leading to a chassis that is 38 per cent stiffer than the previous Civic Type R.
The suspension hasn’t escaped the fettling either, the front MacPherson strut getting new geometry that aims to minimise torque steer and “maximise sporty handling”. In non-PR speak, we think that means “more precise turn in”. At the rear, the all-new multi-link suspension setup (something that really impressed us when we drove the new Civic in standard form) has been improved on the Type R with the use of bespoke high rigidity arms (again likely to improve the directness of the car’s handling). 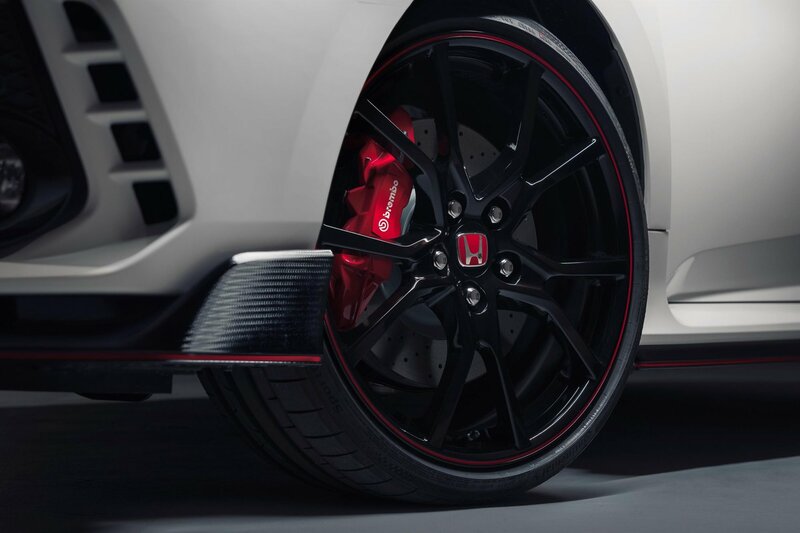 Yes, we’ll admit we’re getting a bit geekier than is normal here at Flat-Out, but that’s what the Honda Civic Type R is all about. On the engine front, the 2.0-litre VTEC Turbo unit from the last generation car has been carried over and has refreshingly, in a world of 400hp hatchbacks, only been blown on slightly. Power is up by 10hp to 320hp while maximum torque remains the same at 400Nm. 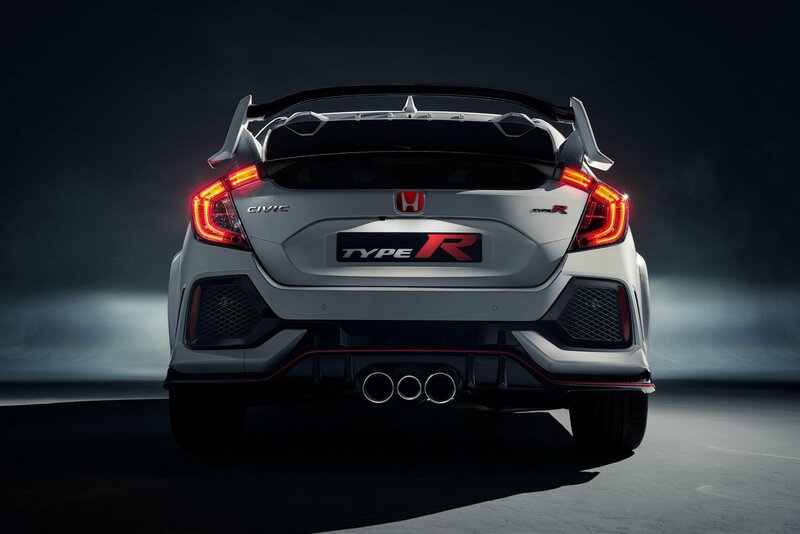 Instead of peak gains, the new Civic Type R’s powerplant has been revised to optimise the throttle response and “driveability”. In other words, a keener response under your right foot and better shove in the mid-range. The excellent six-speed manual gearbox has been kept as is (although there is a new rev match system for downchanges that we hope can be turned off fully). As you’d expect with any refresh, the 2018 Honda Civic Type R’s drive modes have been given an overhaul, with a new ‘Comfort’ mode sitting alongside the existing ‘Sport’ and ‘+R’ settings. 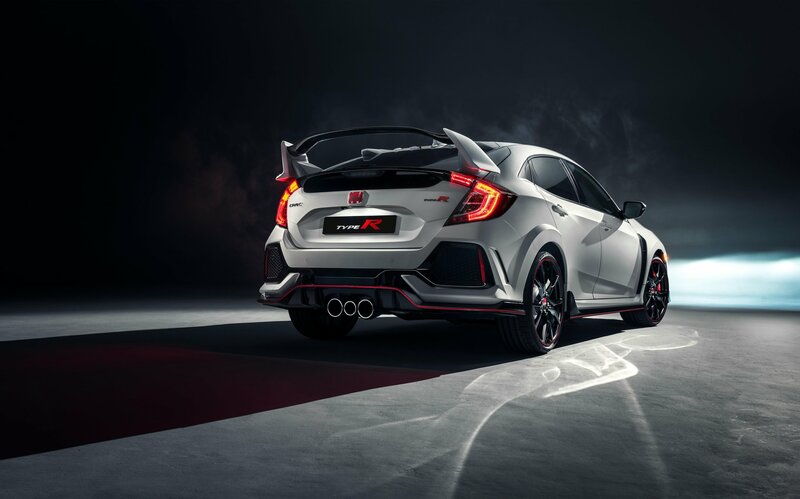 Production is expected to start here in the UK this summer and, for the first time the Honda-badged Civic Type R will be officially sold in North America. Wherever you are in the world, we beat you can’t wait to get out and drive it.